We love when two amazing talents come together. 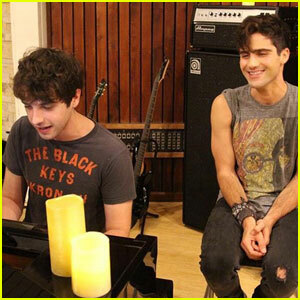 While both guys are great actors, they also have really beautiful voices too! Not to mention, David also shows off his piano skills in the cover video. “David and I have become close friends and have wanted to artistically collaborate for a while now. It was a genuinely great vibe,” Max told JustJaredJr.com. Veronica Dunne and Max Ehrich are still one of our favorite ever couples — and one little gesture might have just put them in our top three fave couples ever. 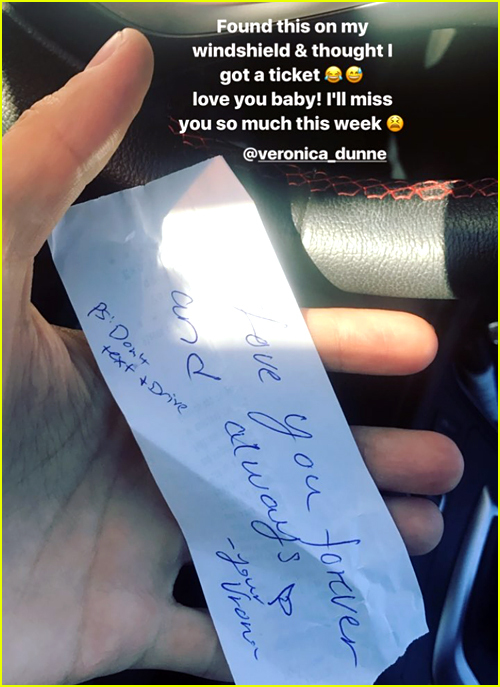 Max shared the sweet thing that Veronica did for him on his Instagram Stories and we’re melting over it. Right when Max was about to leave their home, he found a little piece of paper on his windshield and held his breath, hoping it wasn’t a ticket of any sorts — and it wasn’t. Instead, it was a sweet note from Veronica. Seriously, can they be any cuter?! Veronica Dunne and Max Ehrich are still going strong! The cute couple paired up in style for the 2017 Daytime Emmy Awards held at Pasadena Civic Auditorium on Sunday (April 30) in Pasadena, Calif.
Max took the stage during the broadcast to perform a gorgeous rendition of “Hallelujah” for the In Memoriam segment. “So proud of my man @maxehrich tune in to see him perform tonight on the @emmysnatas,” Veronica proudly wrote on Instagram. So sweet! Also in attendance that day was The Bold and the Beautiful hottie Pierson Fode. Kelsey Asbille is already out of the snowy city of Park City and back in New York! The actress, who hit the premiere of her new film Wind River during the 2017 Sundance Film Festival, met up with her co-stars Max Ehrich and Taylor Zakhar to start promoting her new digital series, Embeds. Embeds, which is produced by former Fox News correspondent Megyn Kelly, focuses on five recent college graduates working as embedded reporters for various national news organizations on the presidential campaign trail. The series is be available on go90′s Seriously.TV channel now. YouTube's Rebecca Black To Take Over JJJ's Instagram Stories on Christmas Eve! 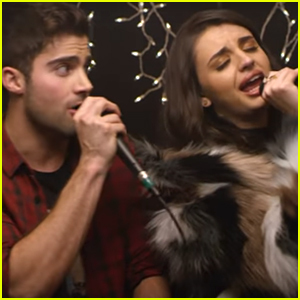 Rebecca Black and Max Ehrich have blessed our ears with the coolest Christmas cover! The two singers teamed up on ‘Baby, It’s Cold Outside’ recently and JJJ can’t get over how good it is! Check out the video below! Rebecca is actually going to take over our Instagram Stories this weekend for Christmas Eve, and we can’t wait! She’ll be showing off her own decorations, inviting us into her home and all her holiday traditions all day long, so be sure to tune in and watch!